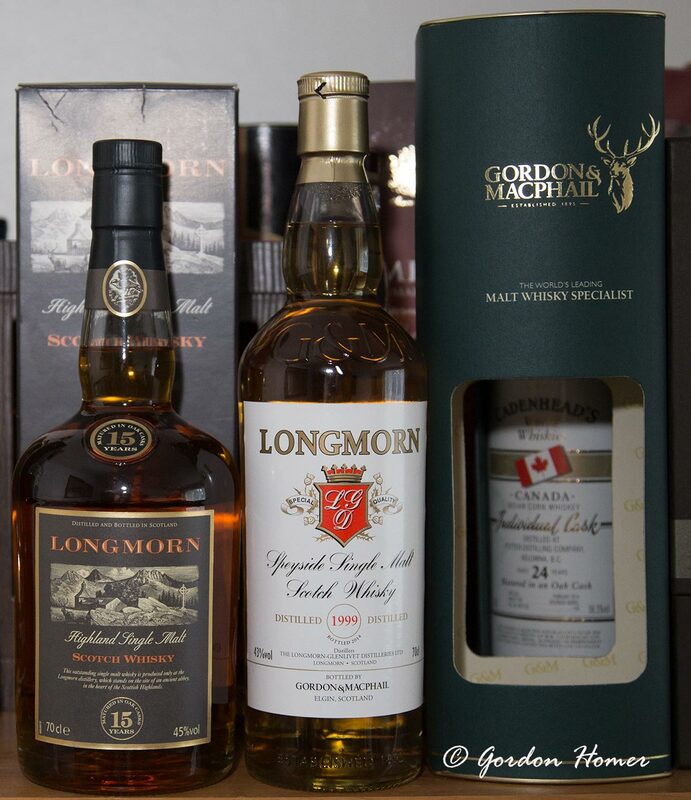 I like Longmorn , it’s the best Speyside ( and Non-Islay) Whisky by a mile in my humble opinion . Distilled in 1999 and bottled in 2014 at 43% , from Refill Cherry casks apparently , pale gold in colour , lots of ripe bananas and malt on the nose initially . Then rich vanilla custard with a huge dollop of marzipan , the palate kicks off a bit spicy , then progresses to a fruit cocktail with cream . The finish is again spicy and goes on a while for 43% . An absolutely delightful Longmornt hat doesn’t disappoint even at 43% , so glad i picked this one up when i saw it at The Lindisfarne Winery! THE Classic Longmorn , bottled at 45% and unfortunately no longer available . Golden Marmalade in colour , Once again the nose commences with malt , then digestive biscuits , loads of vanilla and a touch of the Longmorn fruitness . The palate is definitely a cocktail of fruit mixed in with a delightful spiciness . The dram flows smoothly across the mouth , the finish is long and extremely spicy . The extra 2% certainly seems to make a difference giving it a tad extra punch . Both are really good drams but the O.b. takes it with a bit more presence .